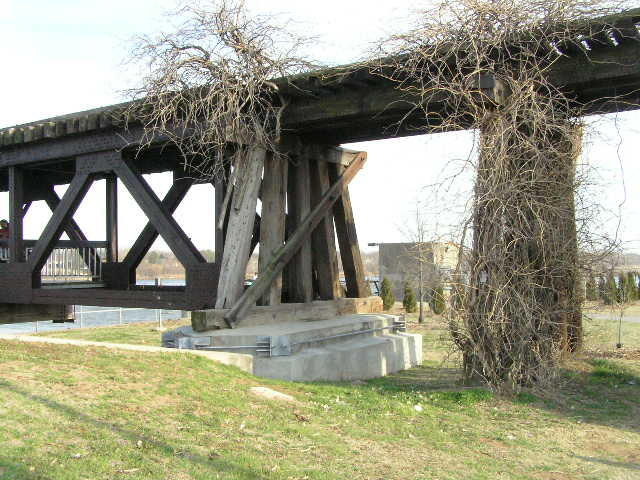 Built circa 1905-1915, this series of 100-foot long riveted deck Warrens are now used as a pedestrian bridge for the Tulsa River Parks system. Below, a view of this bridge. 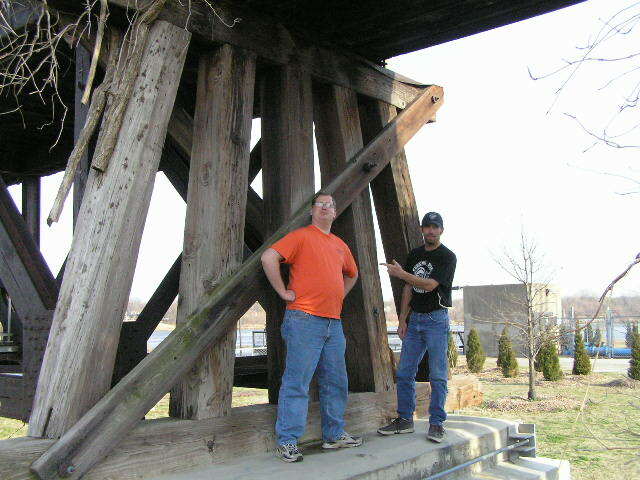 For a railroad bridge, it seems to be very light in construction. 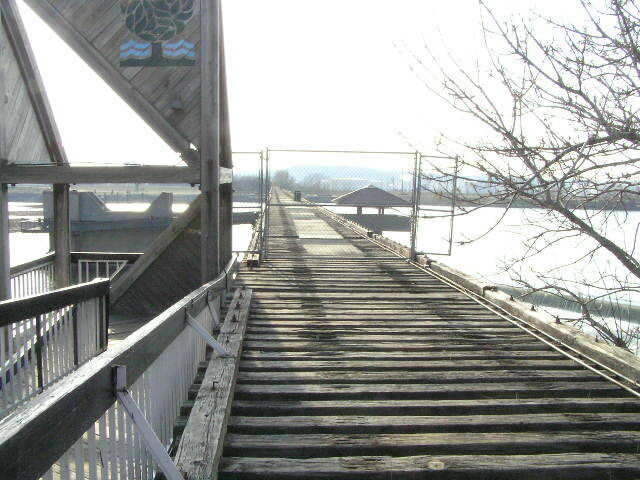 Above, only the railroad ties remain on the former railroad deck. 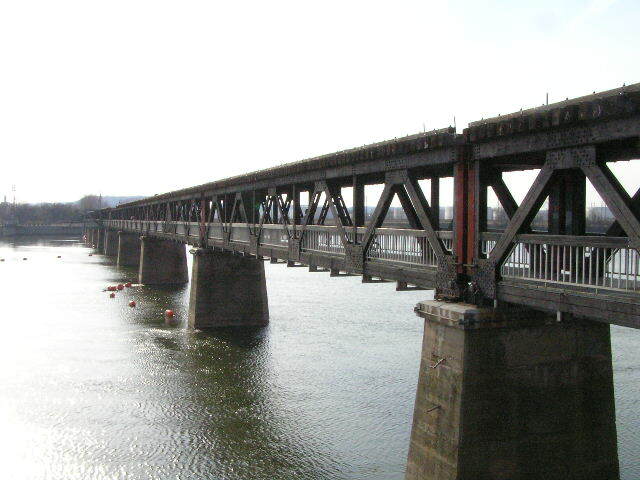 these ties bear directly on the upper chord, which is unusual in truss bridge construction. 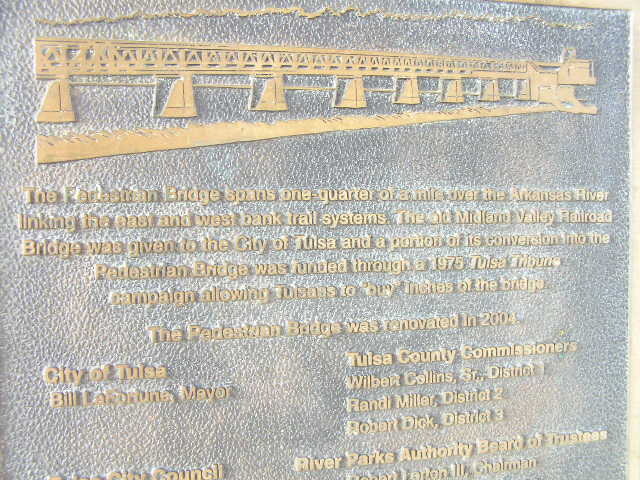 Above, this plaque is mounted to the east end of the bridge. 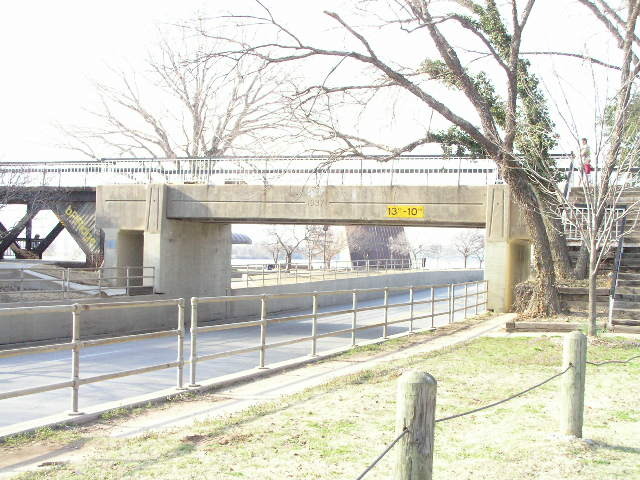 The bridge retired from railroad service in 1974. 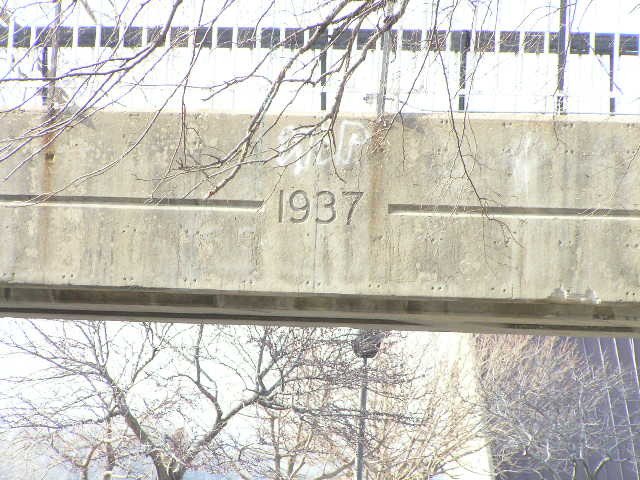 In 2004, the bridge was renovated, though, we couldn't really notice anything different. Above, a view along side the bridge looking east. The structure in the distance is an observation platform which is cantilevered off the side of the bridge. Note also the steel clamp rods around the tops of the piers. 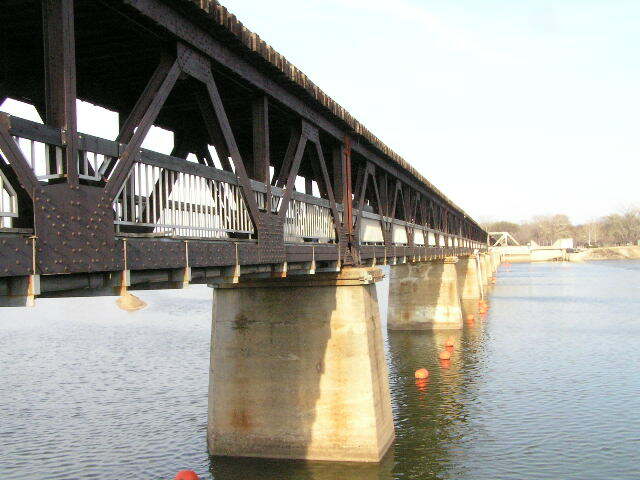 Below, the west approaches to the bridge consist of a wooden trestle. For the most part, these are still intact. David, our resident civil engineer serves as a scale for one of the approach bents, while Ken, our resident critic, mocks him. What Ken meant to say, at least according to his lawyer later on, was that he really liked the bridge and was glad the city choose to do something useful with it.